BRAVO! The appropriate response to a stellar accomplishment, an exclamation of congratulations, a recognition of excellence. It evokes feelings of accomplishment, success, and appreciation that both those on the stage and those in the audience can share together in the joy of an exceptional performance. 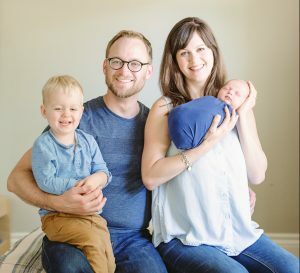 Seth and Rachel Scott—now married and the proud parents of young sons Emmett and August—met through local theatre. Their dedication to education, their utmost regard for ethics, and the vastness of their collective vision for their family and community warranted no other name than BRAVO! The Scotts have invested a great deal of time, energy and capital into their real estate education, attending the nation’s premier real estate investing education program: FortuneBuilders Mastery. Beyond the principles of sound investing, they were trained on how to build a successful real estate business based on systems and predictability. Having completed over 1,000 real estate deals, FortuneBuilders coaches and systems have allowed the Scotts to strategically invest in real estate, grow and expand their business, and leverage the the expertise of fellow investors when analyzing real estate deals. Our primary goal is to help people. If we can help, we will! All offers are no-obligation, and we will not engage in any transaction that isn’t a win-win for both parties. If something is unethical, immoral or dishonest, we won’t do it. At least 10% of all net profit goes directly to charity. Bravo Properties is a professional, full service real estate solutions firm that buys and sells properties in Fresno, Clovis, Madera, and nationwide. We specialize in buying distressed homes at a significant discount, and renovate and resell them to retail home buyers. Founded in 2017, Bravo Properties is excited to contribute to the economic rejuvenation of Valley neighborhoods through residential redevelopment. Bravo Properties is passionate about our goal to help hundreds of people in our community find an answer to their real estate needs. We are committed to leaving a legacy in our families and our community through education, excellence, and integrity. At Bravo Properties, our vision is bigger—much bigger—than ourselves, and our strong “why” contributes to our tireless dedication to pursue distinction and stick to our values, providing service to our city and value to our business partners. Our team is highly motivated, ethical, and resourceful, committed to helping people with their real estate needs and efficiently crafting successful transactions. Our team of professionals has the integrity to follow up on our promises and the expertise to ensure you’re fully informed for making the best decision possible. Bravo Properties is committed to one thing: Providing sound, ethical, and mutually beneficial real estate solutions to our customers, partners, employees, and community. We invest in the very best education and strive for professional excellence so we can help others achieve their goals, leave a legacy for our families, and provide aid to those in need. Our value for altruism fuels our dedication to grow our business ethically and effectively. Bravo Properties is truly committed to helping each individual customer. We focus on fast response, integrity and over-delivering on customer service. By putting the customer’s needs first, whether selling or buying a home, we can help you realize your real estate goals.